Welcome to TONI&GUY Lane Cove! I’m Jacinta, Salon Owner and Art Director for TONI&GUY Lane Cove. Since launching the salon in 2010, I have come to know and love being part of the Lane Cove community. Trained in London and Sydney, I specialise in contemporary, natural, wearable colours. I have a love of tone on tones and shading of colours to create beautiful seamless colours. I love working on colour changes and corrections which take time to work on with my clients to achieve long-term goals. After 20+ years my purpose in hair remains unchanged. The ability to create and make someone feel great, what a fantastic feeling. 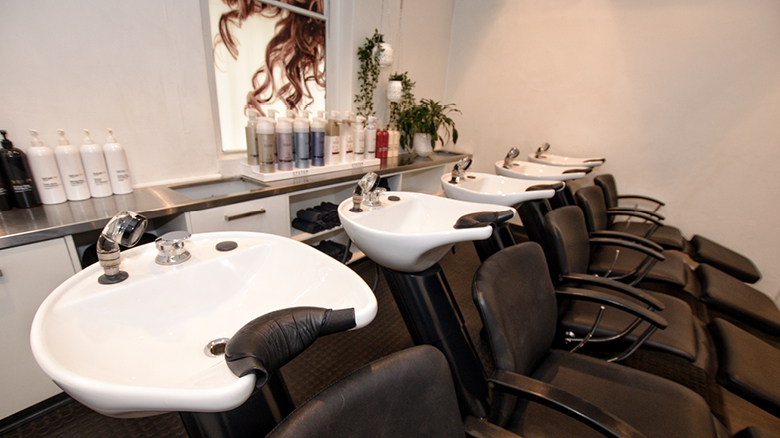 Our Lane Cove professional team are passionate and committed to delivering the best possible in-salon experience. Our cutting and colouring specialists remain involved in continual training and education to provide you with the latest techniques and fashion. We are a five-star accredited Gold Salon Select member through the Australian Hairdressing Council. Come in and escape the worries of the day with our selection of fine beverages, relaxing high-performing treatments, and a brand new cut and colour to make you feel a million dollars. dollars. Big fan of T&G salons but had never been to the Lane Cove salon before. Had a haircut with Filomena. Very happy - apart from being a technically excellent cut, Filomena helped suggest a style that suited me and also took the time to show me how to style my hair quickly and easily as I told her I’m not good with hair and am also time-poor due to being a new mother. Will be going back to Filomena for my next haircut. Hi Eva, Thanks so much for your feedback! I'll definitely let her know you're finding the style is working well for you. See you on your next visit. Had a gorgeous upstyle done by Filomena, and the price was fantastic! Thanks!! Lovely atmosphere with friendly staff and great stylists. I come a long way to visit the salon and always leave feeling uplifted. Filomena was amazing! Was very happy to be booked with her by chance. You can see she has an eye for detail and is passionate about what she does. She was also very considerate in asking if I was okay and happy throughout the haircut. Albert was amazing ! Listened to exactly how I wanted my hair and did sooo much better than what I even expected . Service was amazing and the girls were very friendly . I will definitely recommend this place - especially Albert . I am SO happy that I found a sensational Sydney stylist!! Earlier this year I went back to a short hairstyle which I love and I knew that I needed to find the right stylist to help me maintain it. I am now so happy to say that I visited T&G in Lane Cove and found the wonderful Sinead who was exactly what I wanted, needed and more! Sinead greeted me with a big smile and amazing energy which instantly put me at ease. She talked me through what I wanted and also had amazing insight due to also rocking a short 'do herself! The whole experience was fantastic, everyone was super friendly and I would highly recommend to anyone looking for a new hairdresser. Going into a salon can be a daunting experience for some and I have now been reminded why it can be so worthwhile treating myself! Thank you so much for visiting Toni and Guy Lane Cove, we really appreciate your support, and for taking the time to review us. We look forward to having you in the salon again and are delighted you were happy with our wonderful Sinead. Once again thank you so much for visiting T and G Lane Cove and we look forward to seeing you soon. Thank you so much for your review and for visiting our salon. We look forward to seeing you in the salon soon. Thank you so much reviewing us and we look forward to see you in near future! Did hair cut and blow dry. Loved it. Looking forward to some more styling options. We look forward to seeing you here in Lane Cove for more styling options to. Thank you for taking the time review us. Thank you for visiting us and we look forward to seeing you back in the salon soon. Thank you for visiting us and for such a lovely review we value your response and look forward to seeing you back in the salon soon. Thank you for visiting us and we really hope your son enjoyed his new hairstyle and we look forward to seeing you and your son back in the salon soon. Thank you so much for your lovely review and we are so delighted to hear that you have a good experience when you come to Lane Cove and we look forward to seeing you back in the salon soon. Exceptional service and expertise with a high standard of professionalism. The atmosphere is manages in such manner that it’s throughly a pleasurable experience. Thank you so much your continued support and we look forward to seeing you back in the salon soon. The service was great and the hair dresser knew exactly what I want and was extremely friendly which made the experience very enjoyable. Thank you for visiting us and we are delighted that you were happy with the finished result and we look forward to seeing you back in the salon soon.